Add 15 drops of grapefruit seed extract per 32 ounces of water and put into a spray bottle. Shake, spray thoroughly, and rinse afterward. Mix together in spray bottle. Shake and apply as needed. Mix together in spray bottle. Spray on troublesome spots. Do not rinse. This mixture keeps well. 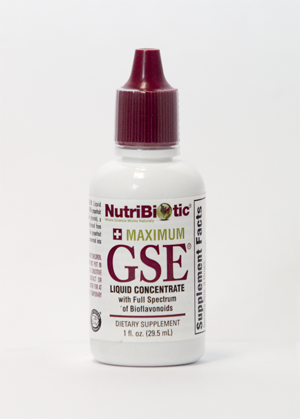 Dilute 2 – 4 drops grapefruit seed extract in 6 – 8 ounces water. Swish in mouth and then rinse with water. Mix 1/3 ounce grapefruit seed extract with 10 ounces of water in a spray bottle. Spray liberally on affected area. If burning sensation results, add 10 more ounces of water. Repeat every two hours as needed.